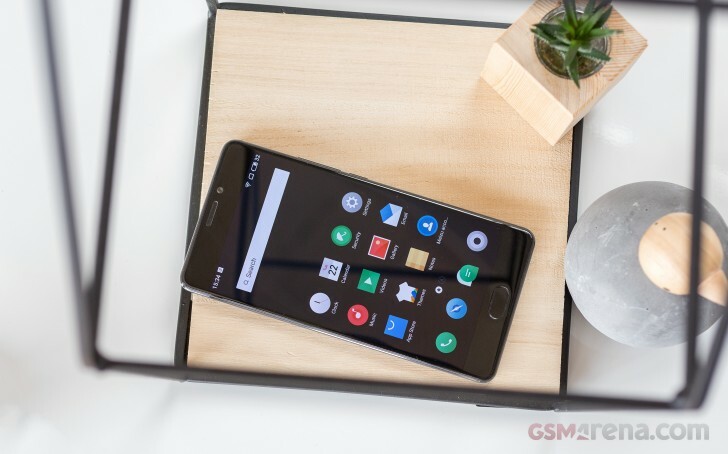 Meizu Pro 7 Plus is the first smartphone to utilize the latest Helio X30 chip by MediaTek. It has a powerful deca-core processor and PowerVR graphics. Meizu has added 6 gigabytes of RAM, more than enough for smooth multi-tasking. The 10-core processor has two powerful Cortex-A73 cores clocked at 2.6GHz, four energy-efficient yet powerful enough A53 cores running at 2.2GHz, and four super lightweight A35 ones ticking at 1.9GHz. The GPU in charge of graphics is PowerVR 7XTP series - Apple has picked a similar one for the iPhone 6s in its A9 chip. Traditionally, we start our benchmarking routine with some Geekbench tests on the processor, but our unit is running on a pre-release Flyme version, and it didn't allow the app to finish its calculations - so we didn't get a final score. Once we get our hands on the retail firmware we will update this section. Other than Geekbench, all other tests were able to complete their routines. The GPU chosen for the Helio X30 isn't of the latest generations and while it was once a flagship-grade, it's now more of a mid-range performer. Considering the QHD screen on the Pro 7 Plus we weren't sure what to expect, but luckily there are no reasons for worries. The 1080p offscreen GFX tests show the PowerVR 7XTP GPU is noticeably weaker than the current Adreno 540 by Qualcomm, but very close to its previous Adreno 530 model available in the Snapdragon 820 generation and on par with the Mali-T880MP10 found in the Meizu Pro 6 Plus. There are apps that will run on the native 1440p resolution, so we also ran the onscreen GFX benchmarks. The Pro 7 Plus GPU is as capable here as the Adreno 530 and the Mali-T880MP10 from the last year's flagships, though the current top-of-the-line crop offers double the performance. We can draw the same conclusions from the compound GPU tests by BaseMark - the Pro 7 Plus has a capable GPU, it's just not an equal to the best on the market. While we couldn't run CPU tests, the compound apps AnTuTu and BaseMark OS II 2.0 succeeded and include those numbers in their final scores. The Meizu Pro 7 Plus once again did well, on par with the 2016 top phones, but not as good as the 2017 contenders and the GPU is what drags its score down. The Meizu Pro 7 Plus and its Helio X30 isn't topping any benchmark charts, but this doesn't mean it can't offer flagship-grade performance. It's 10-core processor is overequipped for the years to come and is as flagship as it can get, never mind the core count. It's energy-efficient, too, thanks to the 10nm manufacturing process, so this time around we don't mind having so many CPU cores. The GPU seemed like the weak spot of the Meizu Pro 7 Plus and its Helio X30 chip, but it actually isn’t. It may not have the same theoretical performance as the current competition, but it's capable of handling any demanding 3D game or high-res movie, hassle-free, no matter the resolution. We can't say it's as future-proof, but with the current 2-3 year lifespan of most smartphones, we are not sure that's an issue. The phone keeps the metal shell quite cool even at peak performance for half an hour, which is great, and the 10nm process of the Helio X30 surely contributed to that. Finally, in real-life performance the Meizu Pro 7 Plus feels as snappy as the vanilla Android-sporting Nokia 8, and noticeably snappier than the most recent Galaxy S8 series. Meizu's Flyme seems light on system resources, at least lighter than the S8 generation. So, whether its Android, some office app, or a top 3D game - the Pro 7 Plus handles everything smoothly. We are sure you are eager to learn everything about the Meizu Pro 7 Plus, especially the battery life, so stay tuned for our upcoming review!